I learn something new everyday. fascinating. Thanks Bryan. 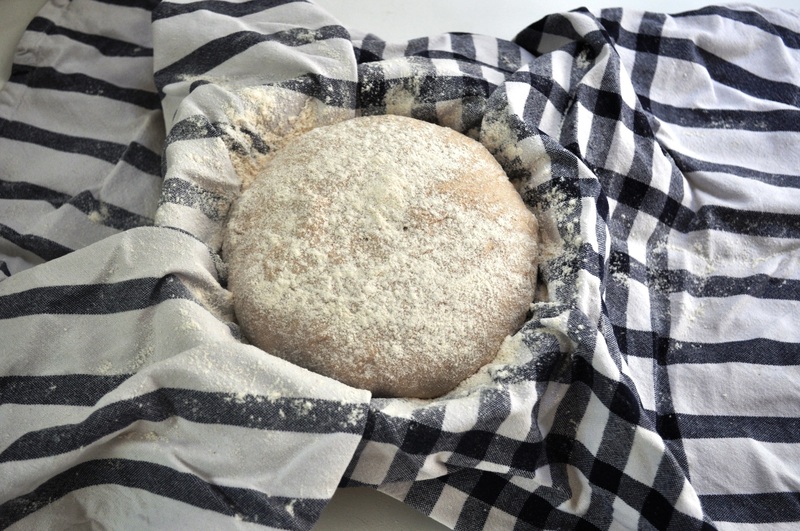 Of course, not every single pre-industrial-yeast bread was made with beer barm, but I think that’s a subject for a doctoral thesis, not a blog post! As a homebrewer I do plan to try this. Great. Look forward to reading about it. What a fine experiment. Of course, if you don’t have a master brewer as a friend, it could be tricky getting hold of some barm. I wonder if anyone would consider marketing it. Or whether it could actually be dried and reconstituted. Thanks Cecilia. 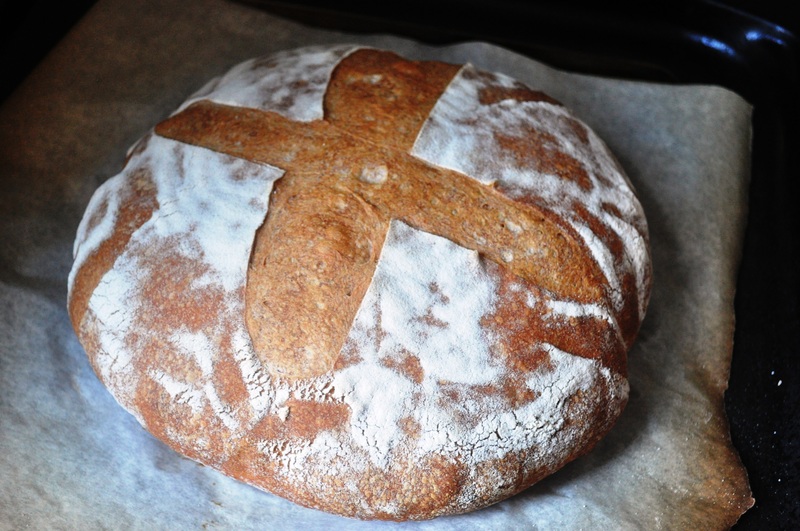 Bread made with kefir yeast sounds fascinating. I wonder what strains of yeast they are – if they differ markedly from the Saccharomyces cerevisiae most commonly used in beer, wine and bread production. Do you suppose that a similar result (i.e. 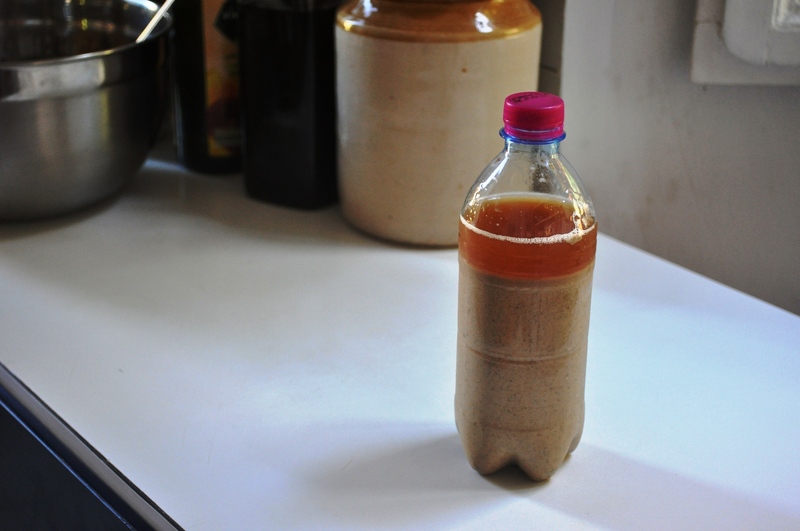 a starter) can come out of using simply organic beer? 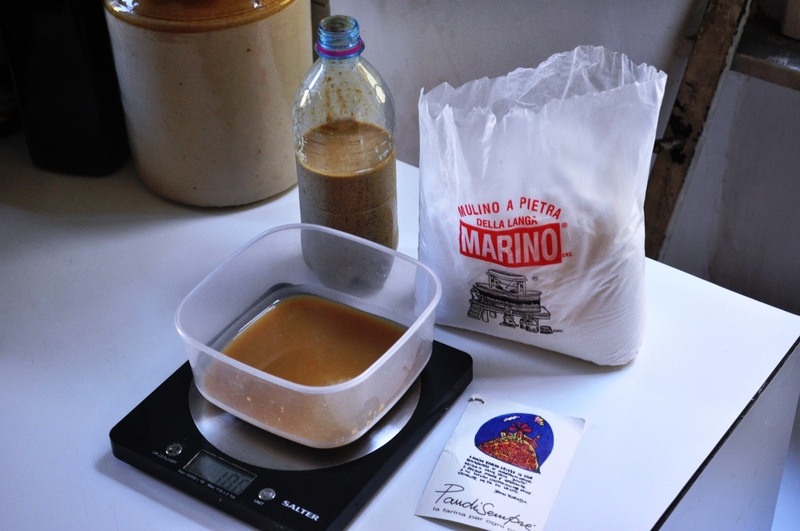 I’ve been doing some starter experimentation lately – some feel that the wild yeasts are all in the flour, others like myself beilieve they are in the air – its clear that yeast is in beer – so why not. May as well crack one and give it a go! Yep, worth a try – should be effective if you use unpasteurised, unfiltered, unfined beer with lots of good live yeast still in it. Be interested to hear how you get on. I finally did. I used an oat stout and red fife flour. I let it ferment for about 36 hours (20C) , 18 or so was autolyse. I wanted to give as much advantage as I could to the yeasts. 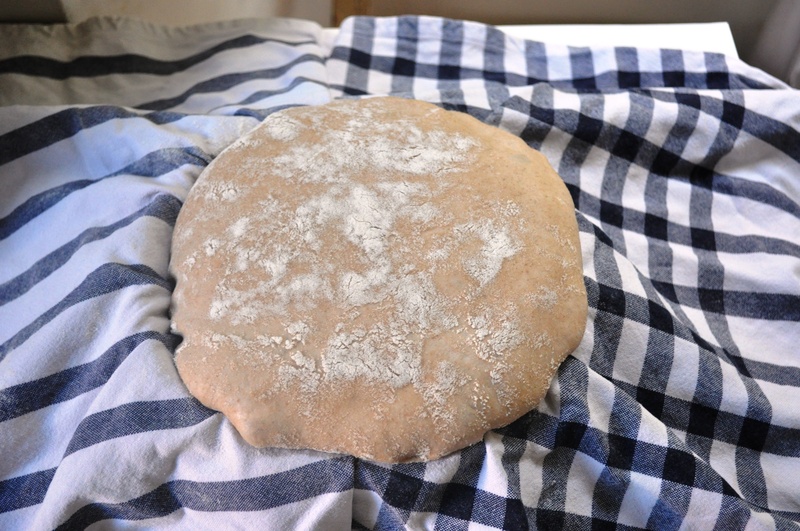 I also added a heaping tablespoon of honey to my 800g dough. Yes the yeast worked. I did get a wonderfully complex, delicious and intense loaf albeit with a very dense crumb, I’ve saved about 75g of it which I will use to further experiment with. 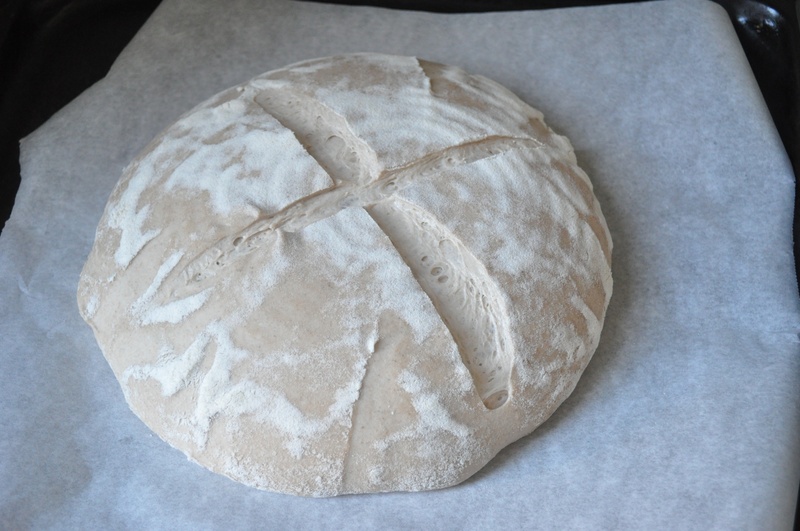 I would like to find out an ideal rising temperature for this kind of yeast, but in any case, It should not have gone more than 24 hours before baking. The addition of the honey was critical both for taste and rising. Once I have some free time I will blog about it in some more detail. Further to the starter experiments noted above: My best starters have come using organic ww flour, reverse osmosis water, in a jar with the lid ON which proves that the yeasts are all in the flour. Fascinating. Wish I could find a good source again now. I’m not in a position to have consistent proving/rising temperatures sadly. We used to have an airing cupboard with a hot water cylinder but that’s gone now, so somewhat at the mercy of the weather, and few degree changes in ambient temp in the house. 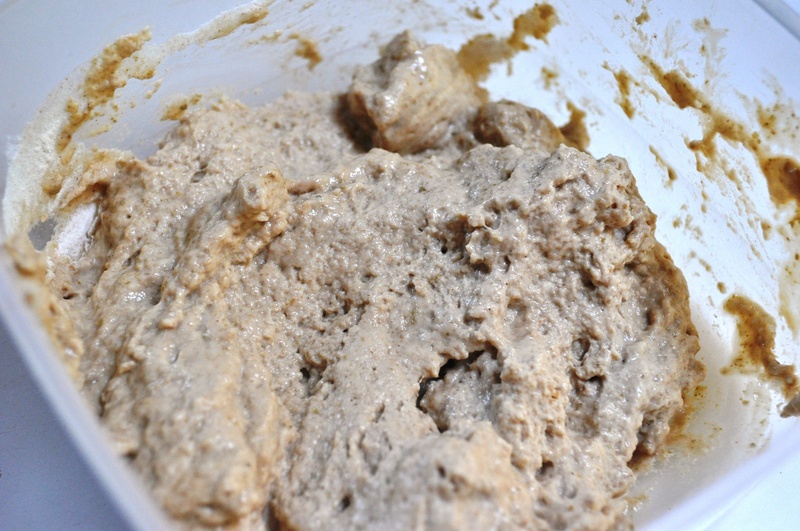 Ditto, I’m nbusing organic ww flour at the moment for my normal starter, but I do find organic rye gives a livelier mess. I use tapwater put through a Brita filter. Ditto, lid on too. A brilliantly formulated post 🤣😂 in Bury St Edmunds the baker and brewer (Green king and the friendly loaf Bakery) come together and produce a whole wheat seeded Barm loaf. I was searching for the calorie value when I found your post. I am still oblivious to the calories but thoroughly enjoyed reading your post. I have Haemochromatosis and am trying to find a bread not fortified with iron as I plan to live a while longer … white bread is out permanently. A good source for beer yeast? Do you have any local micro breweries? I’m sure they would also be interested in your work in this area. 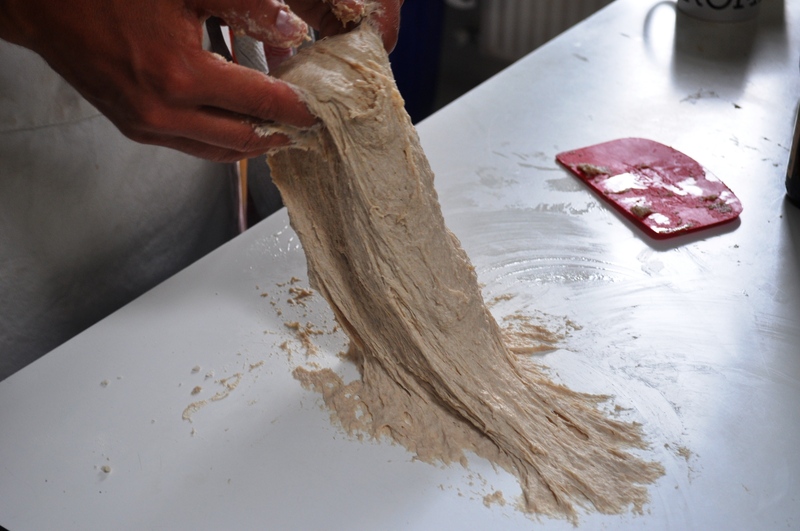 So far yours is the only blog using straight beer and flour – no other leaveners like baking . That’s the fun of it, isn’t it! Yes, we do have local breweries, just got to make the right contact! Hello Daniel! What do you think about keep using the remaining trub? 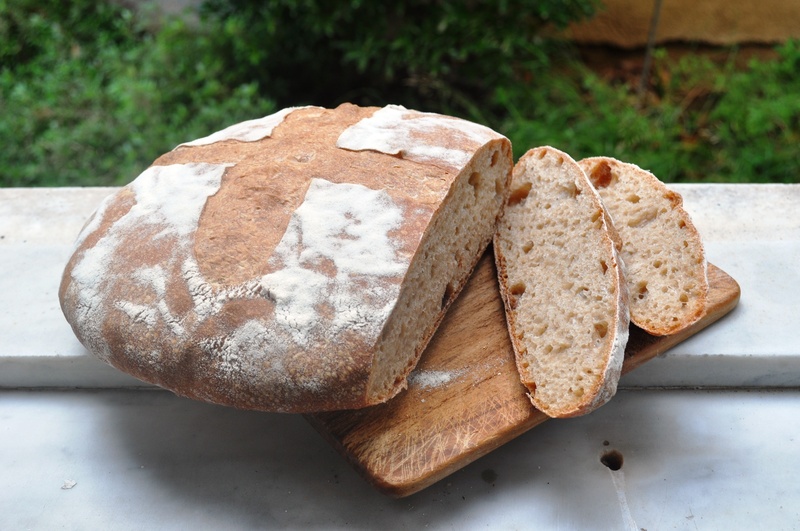 I’ve made a bread last week with trub leaven and put the remaining trub in the fridge. 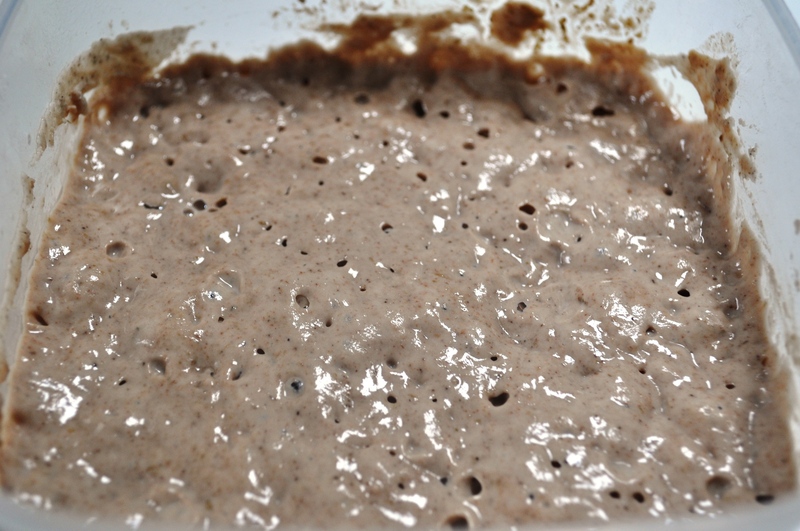 After one week, today I’ve fed that remaining trub starter again and right now I want to bake a new bread with that. Do you think it’s appropriate to keep using same trub starter for weeks by feeding it regularly and keeping it in the fridge? Interesting post! Can you tell me what the bread smelled like? Could you smell the barm, or did it smell like the breads we buy in the bakeries? Thanks! Oh gosh. I can’t recall at this point, especially as my wife’s just made some flapjacks and the house smells of that! 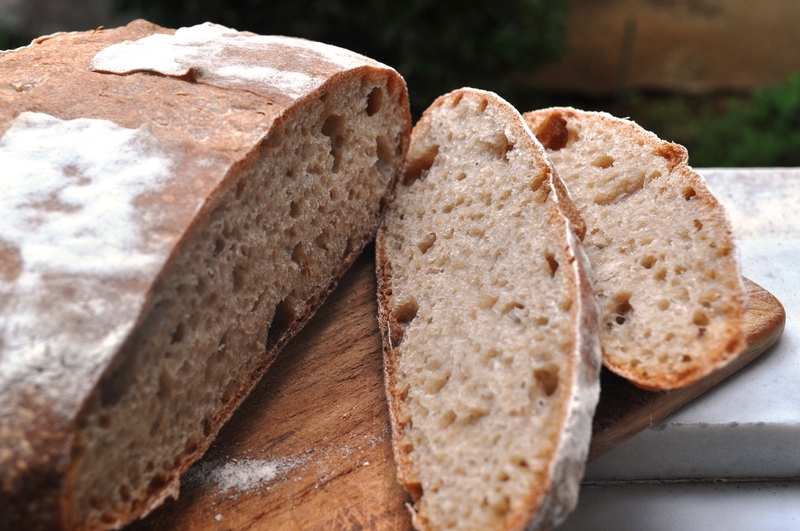 like you i started on dan lepards barm bread loved it but wanted to go to the source and do it for real. Ive just sourced 2 pints of trub and want to get going. My question is how long will it last in my fridge? Good question. A couple of days I’d imagine, but it might start getting a bit sour if you leave it too long, as the yeasts die off. Let me know how you get on. As far as I know, in the UK at least, breweries are legally obligated to give you their left-over barm. Interesting. Is that some sort of ancient law?